This is a guest post by Kyle Benjamin Schneps; a dual master’s degree candidate at Columbia University and junior fellow at the Institute for Strategic Studies in Dakar, Senegal. On 2 April 2013, Jose Americo Bubo Na Tchuto was arrested by the U.S. Drug Enforcement Agency (DEA) in international waters off the coast of West Africa. 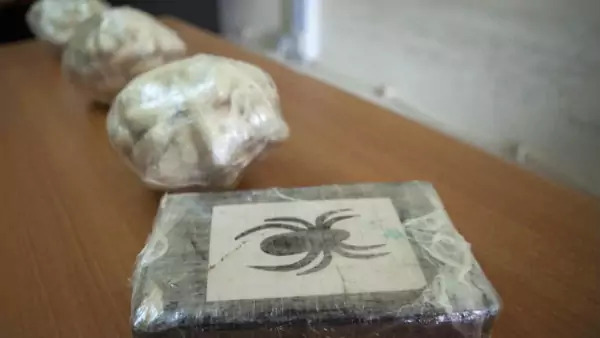 He was arrested for his role in a transatlantic narco-trafficking operation in which he agreed to receive, store, and ship thousands of kilos of cocaine in exchange for millions of dollars and a cut of the product. Moreover, he agreed to this arrangement with DEA informants who were posing as members of the Revolutionary Armed Forces of Columbia (FARC), a guerilla organization classified as terrorists by the U.S. government. Mr. Na Tchuto is the former chief of the Guinea-Bissau Navy and a lauded veteran of his nation’s war of independence against Portugal. The Na Tchuto sting may be indicative of the expanding U.S. drug enforcement presence in West Africa. U.S. counter-narcotic assistance for the region has soared from U.S. $7.5 million in 2009, to $50 million in 2012. The United States is currently funding and training elite counter-narcotic police forces in Ghana, Nigeria, and Kenya. Additionally, the U.S. government has been increasing its military and intelligence capabilities in West Africa. In early 2013, the U.S. Air Force finalized an agreement with the government of Niger to conduct drone operations from a new U.S. base in the country. The operations aim to collect intelligence on terrorist activity and illicit trafficking in the region, two issues that are often interrelated. With respect to Guinea-Bissau—considered the most central link between South American cocaine and the European market—the United States has no diplomatic presence in-country and has terminated all foreign assistance due to Indjai’s illegitimate takeover of power. This lack of presence could prove detrimental to U.S. intelligence collection, especially considering the large Lebanese community in the country and its proven financial ties to Hezbollah. In Guinea-Bissau, the United States continues to be a global policeman and leader, promoting the democratic ideal in places where elections may be a distant consideration to the prospect of affording the next meal.